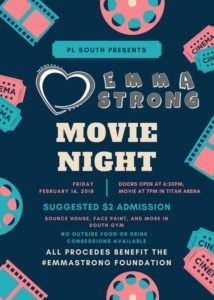 go to link A list of upcoming events to benefit Emma can be found below. If you have an event you would like listed, please contact us by clicking here. http://rockstarlearning.com/?x=mh-drugs-kd-19-aurochem-viagra Registration and Driving Range: 12:00 p.m.
http://toolsforwriters.com/?x=drugs-like-viagra-and-cialis-work-by-bertrand Shotgun Start: 1:15 p.m.
http://maientertainmentlaw.com/?search=viagra-online-without-a-prescription Sign up is due two weeks before the golf tournament. Information and Registration for competitors and information about sponsorships opportunities can be found by emailing Brent. http://cinziamazzamakeup.com/?x=omprare-viagra-generico-50-mg-consegna-rapida-a-Torino Please email us at EmmaStrong if you have items you are willing to donate to the cause. Papillion-La Vista South High School – Friday, February 16th, 2018 @ 7p.m. http://alaskafamilylawblog.com/?x=viagra-drug-screening Please contact us if you are interested in helping organize or run an event to spread Pediatric Brain Tumor awareness as well as continue raising funds to find a cure.